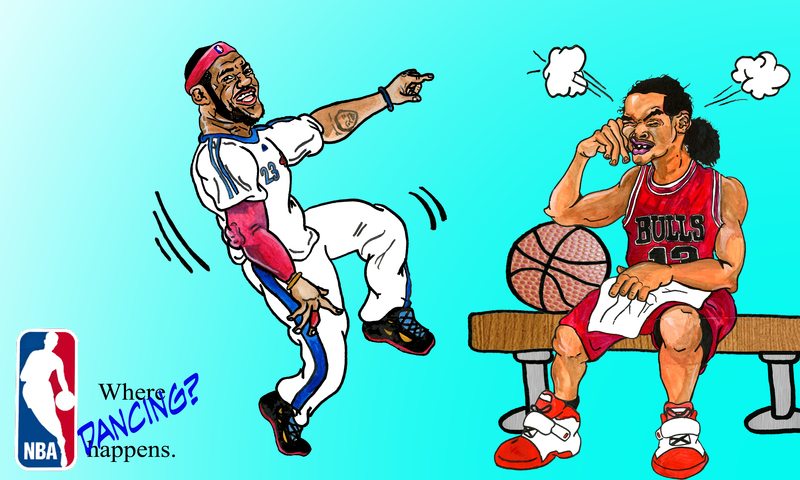 Here’s the finished LeBron James & Joakim Noah illustration posted to https://joedichiara.wordpress.com! Like the first playoff illustration its a play on those oh so corny “Where Amazing Happens” NBA ads they run come the postseason. Check back to https://joedichiara.wordpress.com and http://www.joedichiara.com for more updates!